Save on the cost of our discount craft supplies by becoming a member. If you are a regular customer of ours then you’ll definitely want to take advantage of our low cost memberships. Each membership price is based on the total number of people in your school or group, or on the number of bags you need per year. Membership runs for 12 months from the time you join. For example, even if you join at the end of the year (EG: December), your membership will be valid until December in the following year. You can pay for a membership online by filling out the membership form below. Once you have filled in your details you will be directed to a payments page, where you can select the membership level and pay. When we receive your payment, we will send you an email confirming your membership. It’s that easy! No! You can purchase casually. The general rule of thumb is that once you use more than 3 bags per year it is cheaper to be a member. When you buy a membership, each bag works out to approximately 12 dollars per bag; if you compare this with the casual price of 30 dollars per bag, taking a membership works out much cheaper in the long-run. Do I have to be part of a group to become a Member? No! 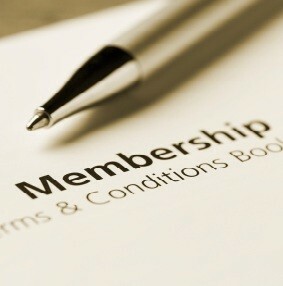 We have many individuals who take out memberships with us. ANYBODY can be a member of Resource Rescue Inc.
30.00 per bag. (Each bag is 54 litre capacity). Of course, you don’t have to buy a full bag. You can buy as much or as little as you like, and it is priced accordingly based on what you buy. (NOTE: All new or lapsed memberships incur a $10.00 joining fee.